IF ZABORIN were a color, it could be charcoal gray, the shade seen here and there on the walls and in the tiles of the lobby floor. 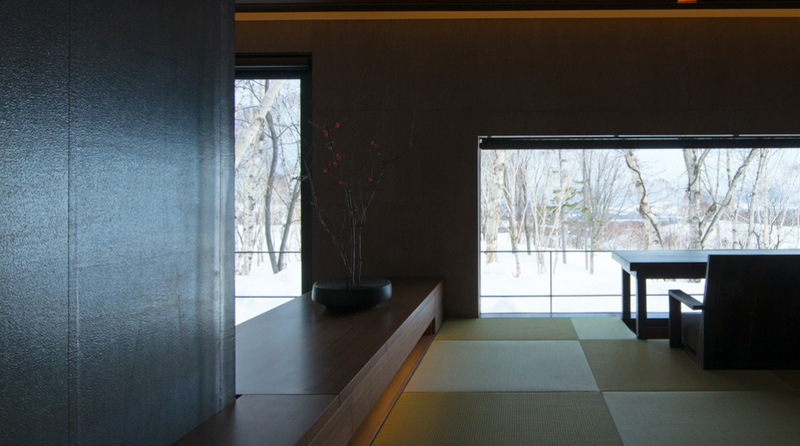 Or perhaps brown, like the furniture in the 15 villas and their pale wooden floors. 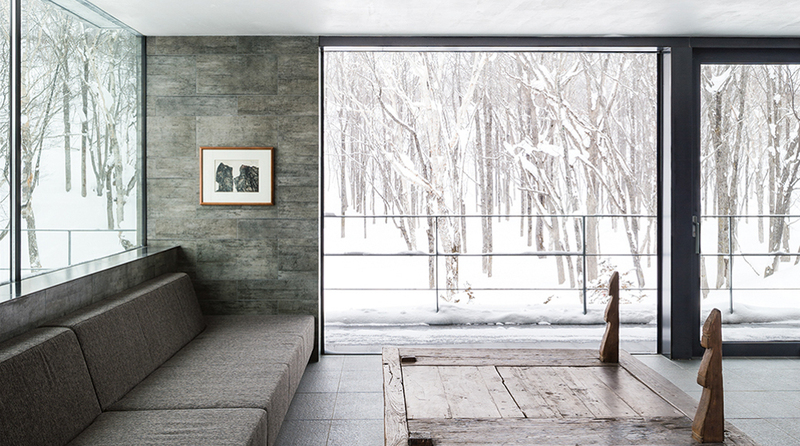 But in the winter it would definitely be white—the immaculate white of the snow that blankets the surrounding forest, nearly spilling over the windowsills, as though trying to encroach on the terraces and their stone bathtubs. 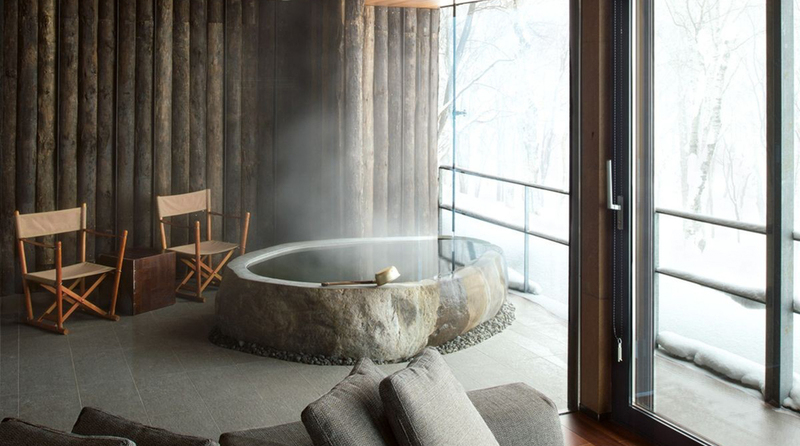 The force behind this ryokan dream is Shouya Grigg, a British expat who harbors a deep fondness for Hokkai- do Island and its forests. 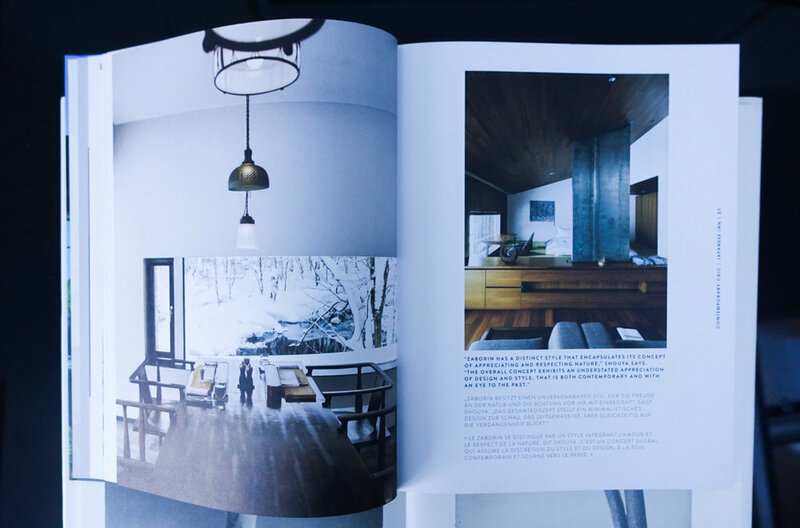 His taste is evident in touches like the vintage lamps that adorn the restaurant, the bar, the library, the lobby… Joining him in the adventure are Michele and James Marshall, investors who also love this region of northern Japan, and live there part of the time. 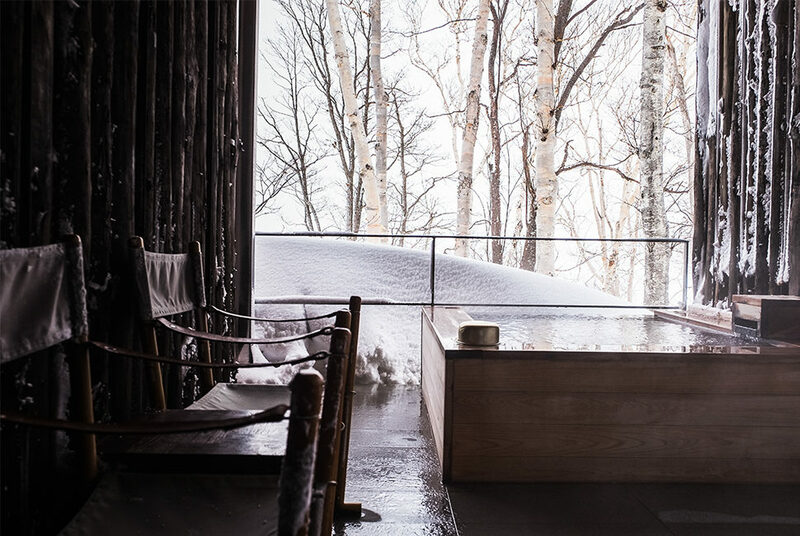 With the architect Makoto Nakayama, they have given Hokkaido its most sumptuous retreat, within sight of Mount Yotei, whose shape and beauty recall that of the more famous Mount Fuji. 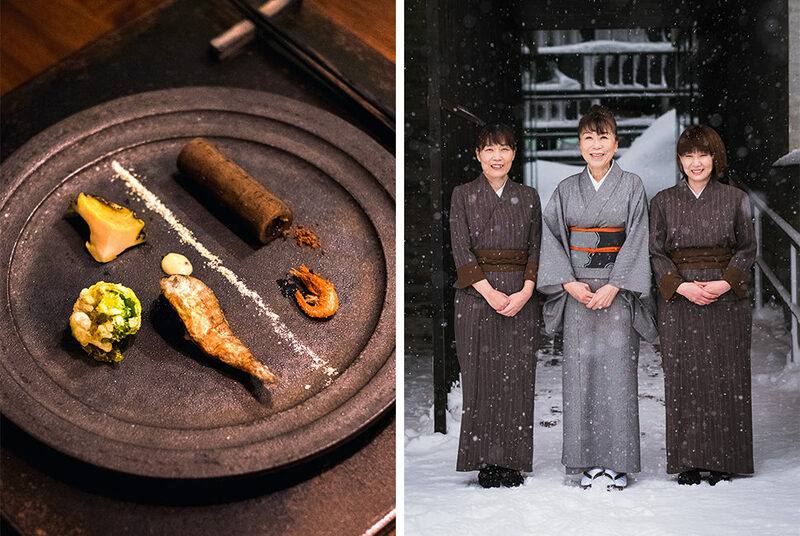 The island is prized for its Snow Festival in February and for its food, with excellent sushi in the coastal areas and vegetables, meat and dairy prod- ucts inland. 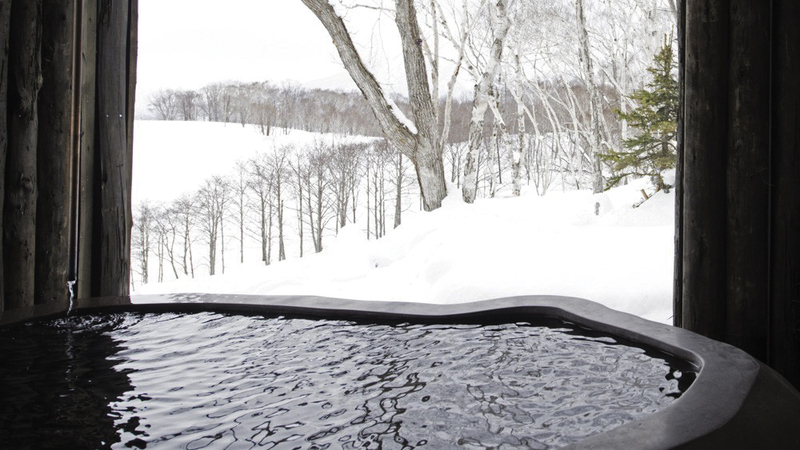 In a country where space is a luxury, Hokkaido is an exception, offering numerous nature parks and ski trails. 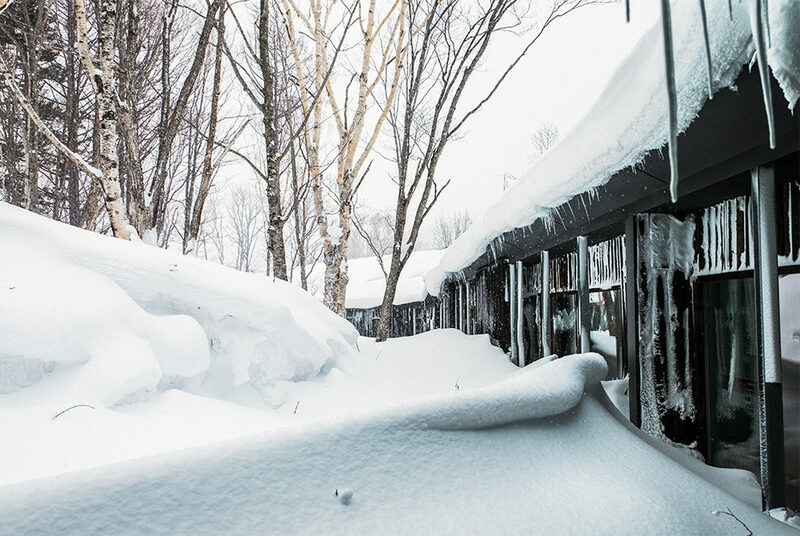 Niseko, its best-known resort, is a magnet for winter sports lovers, who come from all over the globe to enjoy the snow, as well as the bars and eateries at the foot of the slopes. Only 20 minutes from the ski lifts, Zaborin seems to be on a different planet, with noise and bustle on one side, beauty and serenity on the other. 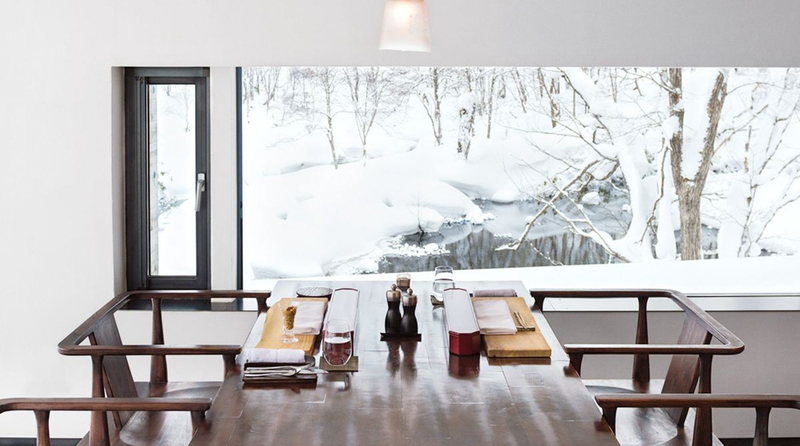 Not that it’s impossible to combine the two: the hotel offers shuttles to Niseko. But why would anyone want to leave this extraordinary, peaceful haven? Za-bo-rin: three ideograms that literally mean “a place among the trees to sit and forget.” To forget the stress, anxiety and agitation of the outside world.